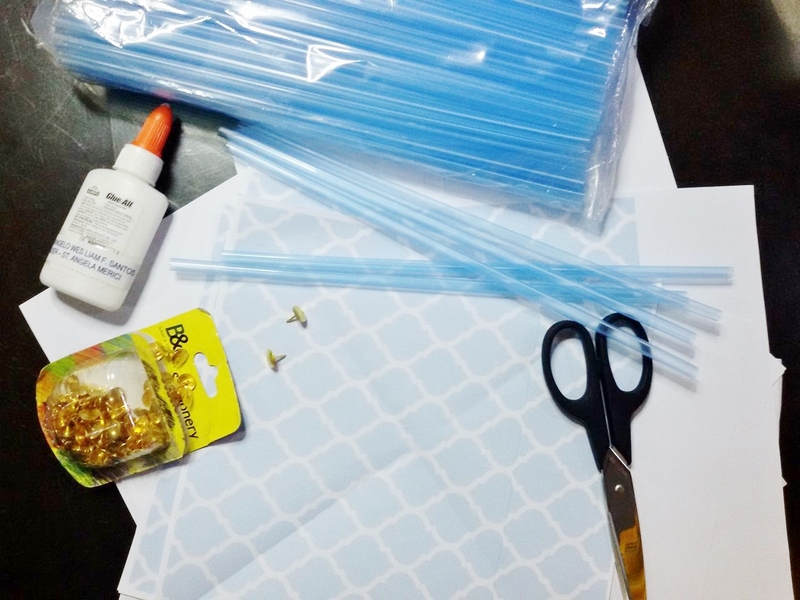 Lately, I've been so fond of doing DIY projects for my personal events such as our Rustic Wedding, our baby's baptismal celebration, and the 6th birthday school celebration of our 6 year old son. I'm even contemplating lately to venture into that creative business. What do you think? 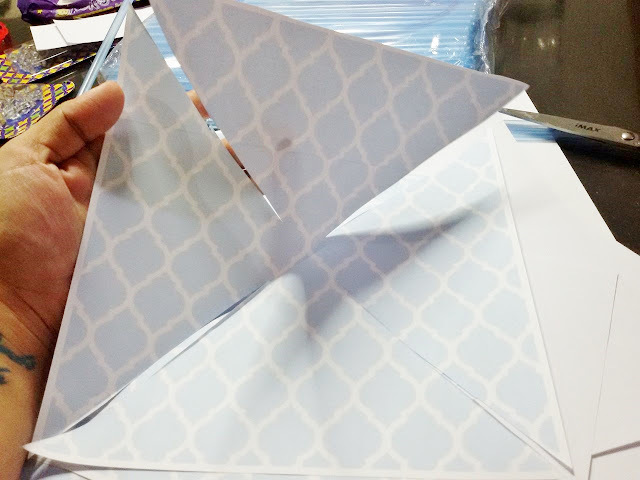 Anyway, one of the projects I did was the table centerpiece which was very simple to do, Paper Pinwheels. I'd like to share with you how easy it is to do on this post. 1. Cut the papers in squares (recommended 8 in x 8 in.) 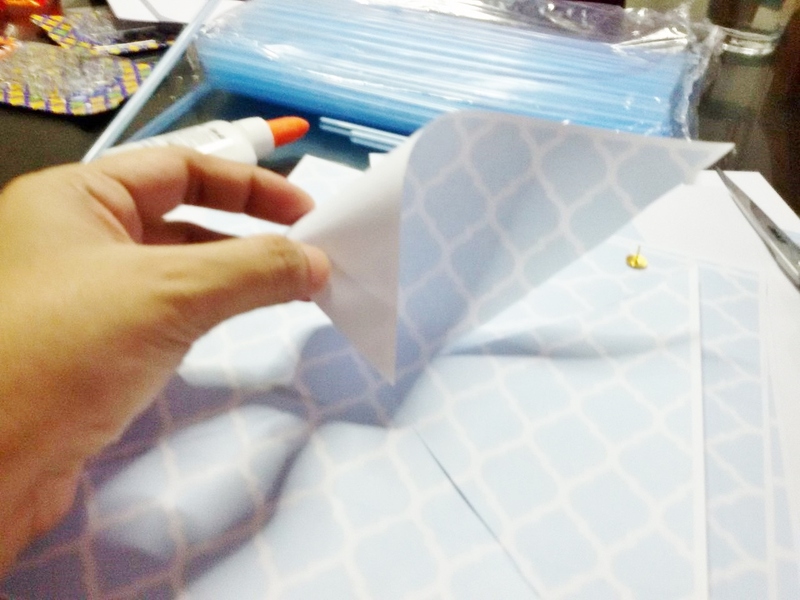 Get one paper and from one corner, fold across diagonally, repeat on the opposite side. 2. Cut along the folds going to the center leaving about 3/4 to an inch uncut. 3. Now you have four sides in triangles. Take the left or right corners of each of the triangles and let each corner meet in the center. 4. Secure the corners with a thumbtack in the center. 5. Get one straw (plastic or paper, some use a pencil and pin the back of the pinwheel to its eraser), and attach it to the thumbtack. 6. 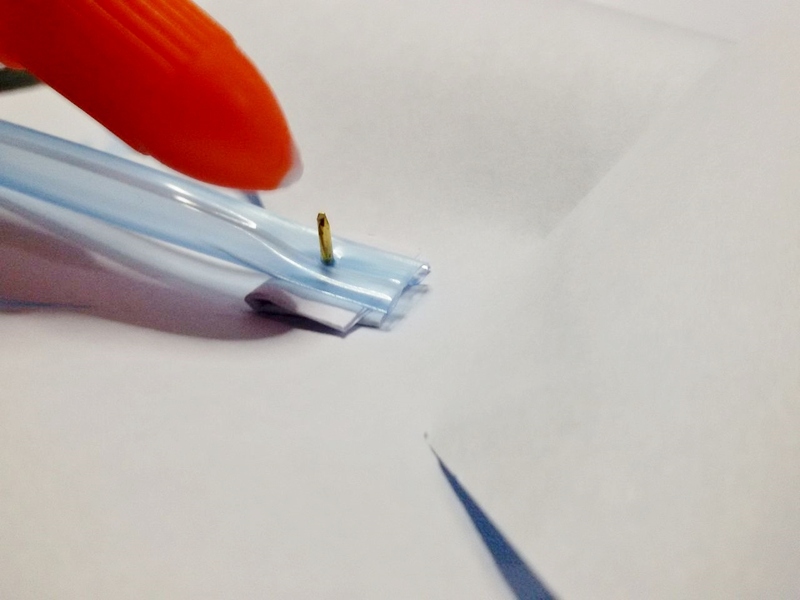 To secure the attachments together, and to prevent accidental pricking put glue or hot glue to the tip of the protruding thumbtack. Let it dry. That's it! 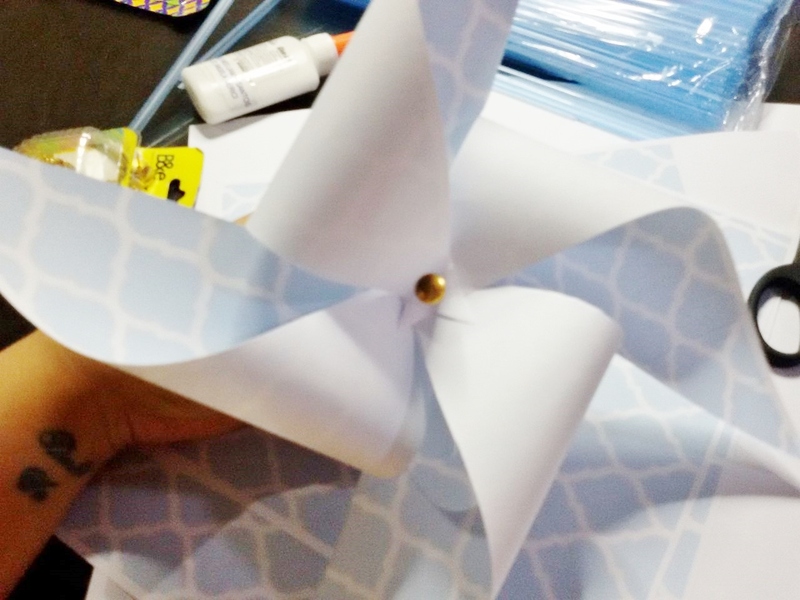 You have made yourself a cute pinwheel you could use as part of a table centerpiece or wherever you wish to use it in your DIY party. It's cheap, it's special, and it's definitely a labor of love which makes your event a lot more special. Now, where did I put my DIY pinwheels? I didn't want to buy vases so I made use whatever is available at home. 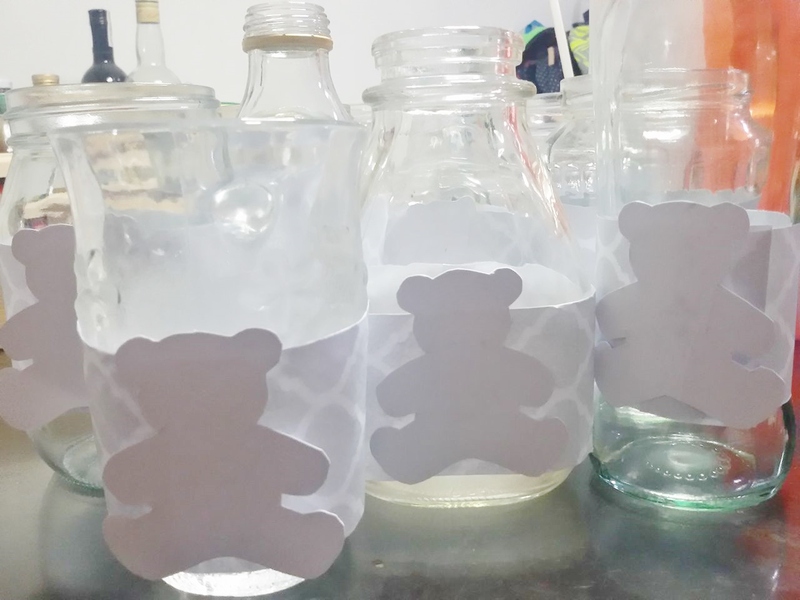 I recycled bottles of olive oil or mason jars I found at home, wrapped them with a printed paper and attached a cut out teddy bear, voila, a pretty container for my pinwheels! 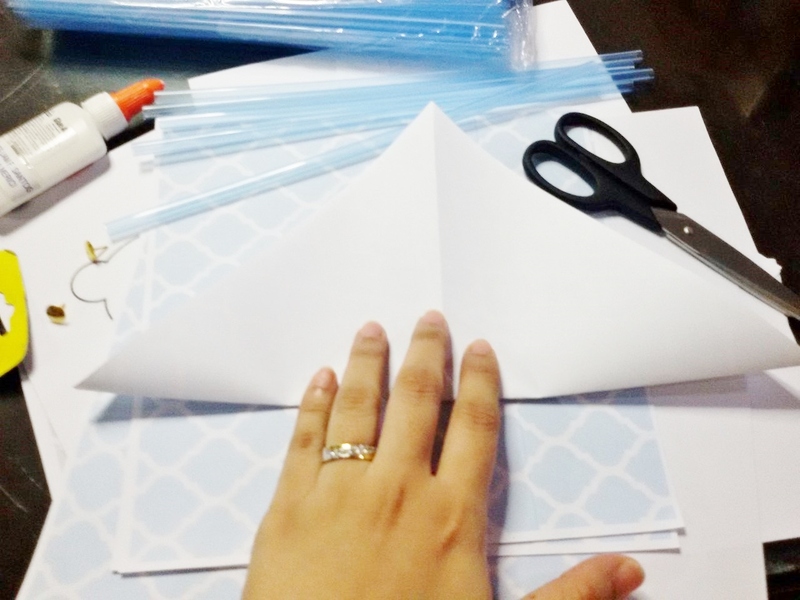 DIY-ing our personal parties has been my current passion. The fulfillment seeing my projects is simply indescribable. But you'll need the sheer determination, patience, attention to details, time management, a dash of creativity, and most importantly pure love for what you're doing.